Parkfield is set in the picturesque market town of Keswick, surrounded by the tranquil mountains of the English Lake District. We are ideally situated for a quiet walking or leisure holiday. Parkfield is a delightful Victorian guesthouse which is proud to have a four star and silver award rating for the sixteenth year running. This is refelcted by our high standard of care and attention to detail. Car parking facilities for all guests in our private gated car park to the rear of the property, means a completely stress free stay. Owned, and personally run for the past sixteenyears by resident proprietors John and Susan Berry, we pride ourselves on a very warm welcome, high level of personal service and an ever increasing number of returning guests. Quiet yet central, Parkfield is only a 2-minute flat stroll to the shores of Derwentwater, Queen of the Lakes. The popular Theatre by the Lake, Keswick town centre and the bus station are also less than a 5-minute gentle walk. 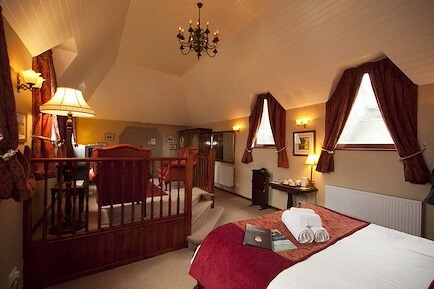 All rooms have been recently refurbshed and most offer stunning views of the surrounding fells. If using a SATNAV system use the following post code: CA12 5ES. Follow the signs for Keswick town centre, when you approach the mini roundabout in the centre of the town follow signs for Borrowdale/Derwentwater along B5271. After 0.4 mile on your right-hand side you will see The Heads, turn on to the filter and you will find Parkfield Guest HOuse on the left, immediately after the fork opposite Hope Park golf course. From Penrith station take the X5 bus to Keswick, the Keswick bus station located outside Booths supermarket. From here cross the road, with Booths to the left, and follow B5721 signposted Borrowdale/Derwentwater. After 0.4 mile on your right-hand side you will see The Heads. Follow this road keeping left at the fork, you will find Parkfield Guest House immediately after the fork opposite the Hope Park golf course. Your enquiry will be sent directly to Parkfield Guest House. Please fill in as much detail as you can.